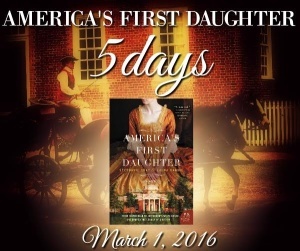 Feb23 Comments Off on Two Giveaways Celebrating America’s First Daughter! 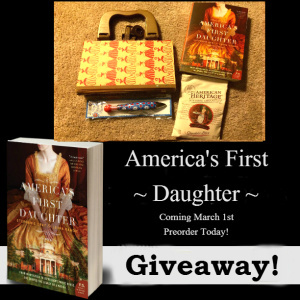 Two Giveaways Celebrating America’s First Daughter! Just a quick note to let you know that Laura has two giveaways over on her Facebook pages celebrating the release next week of America’s First Daughter! Don’t miss them! ← Goodreads Giveaway of America’s First Daughter!